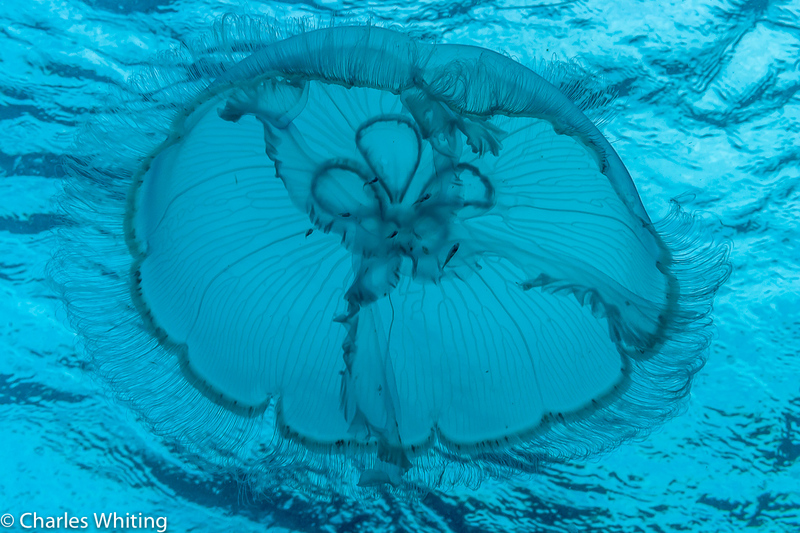 A large moon jellyfish with fine tenacles drifts in the current near the ocean surface. Boynton Beach, Florida. Photo © copyright by Charles Whiting.